by Dave from The Longest Way Home ~ April 18th, 2011. Updated on October 5th, 2013. Published in: Travel blog » Malaysia. Malacca, or in Malay Melaka, is a small colorful capital town for the state of Malacca in southern Peninsular Malaysia. A simple fishing village it was founded by a Sultan before bouncing back and forth during the colonial years between the Portuguese, Dutch and British. Finally in 2008 it was conquered by UNESCO and named a world heritage site. Perhaps its last year of modern innocence. There’s a ferry port from Indonesia linking into Malacca. A train line ends 30km out-of-town. There’s even an airport nearby. Driving in Malaysia is said to be fairly easy too. But, the most popular choice for the humble independent tourist is the ordinary local bus. From Singapore buses go to Malacca frequently, likewise from around the country. They all firmly dump you in the out-of-town center terminal. And … that’s where I started to grumble. The bus terminal is okay. But for a dumb tourist like me I struggled to easily find the next bus into town. Least of all did I think getting out of Malacca would be easy. Everything was booked out. Book your return bus tickets in advance to Malacca! In my humble defense a French girl I met was also lost in frustration with getting to/from Malacca with ease independently as well. So I am not alone by at least one person! At least on this day. It could be bad timing, but there seemed to be a hideous amount of tourists when I was there. Or, it could be a continuous influence due to that heritage site award. Safely nestled in the center of town I turned to ask the bus driver where the return bus to the station was. But, no, he was off in a rush leaving me choking on some nice Malaysian bus fumes. Across the road a horde of tourists with name tags piled out of their own super liner bus. Across the road another group of Koreans were being led by a lady with a flag. A group of men were handing snakes out to be photographed around the necks of some local tourists. So yes, I have that instant “get me the hell out of here” reaction. What have they done to the poor Trishaw’s in Malacca?! Running for tourist cover I stopped in my tracks as a grinning man surrounded in neon bright flowers waved at me from his trishaw (see top photography). Apparently the trishaw’s in Malacca are apart of the tourist industry here. 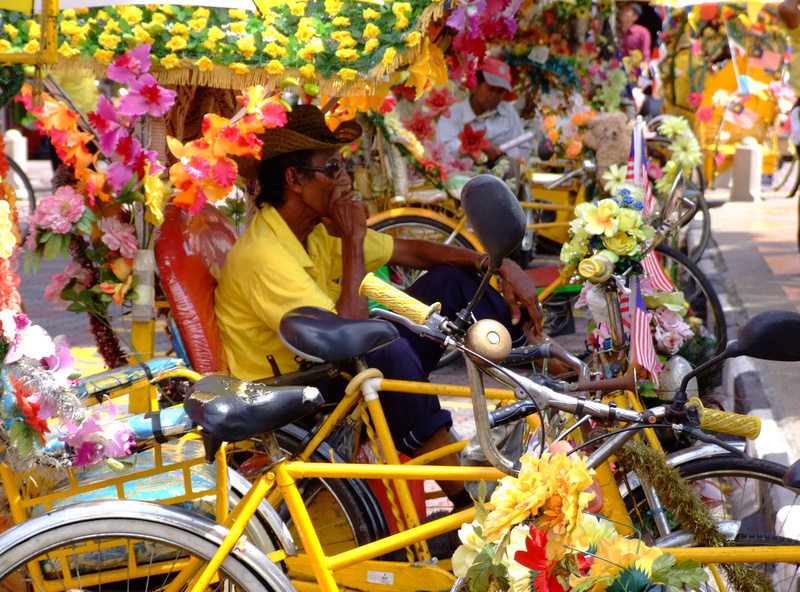 Brightly decorated with multicolored fake plastic flowers, and complete with loudspeakers blaring out music the very friendly drivers will take you around Malacca for 40 or so Ringget (bargain). I’ve asked many people’s opinion about this. Many Malaysian’s shake their head at this sight, while many, many tourists seem to love these colorful rides. I imagine it’s a fun ride for some. But, I can’t bring myself to sit in one, it’s just not me. What’s more, I really wonder what the old men driving them are thinking. They really are super friendly in general. But, I just wonder if they had a choice would they prefer something just a little more toned down? All these things aside, as I dipped into the back streets of Malaka, I found refuge from the tour groups and the tourism spectacles going on. The old narrow side streets of Malacca are beautiful. Still preserved, they are a mix of Chinese, Malay, and European architecture. Some are highly renovated, others in a complete state of decay, and a few more in that rustic fifty-fifty stage. I imagined coming out at dawn or at dusk and seeing the suns golden light bounce of the streets of Malacca. Opening up a bedroom window, smelling the old wood in my room as the fresh sea air sweeps in. Instead I turn a corner and see a giant wooden replica Portuguese boat at the side of the road, along with queues of tourists wanting to go inside. I did too, it didn’t last long. Families only I would suggest. The ruins of the Portuguese fort A Famosa were refreshing to see. Sadly, I don’t see that much of this side of history in Asia that’s been preserved like this. Bravo to Malacca for this alone. Indeed, perhaps this is what I really find attractive about this small town. There is a sense of old world history about the place. Old forts, tiled roads, decorative buildings, a palace and some very nice walking. There are not too many places one can find this kind of specific history in South East Asia, outside of say, parts of Vietnam. Indeed Malacca has an envious list of attractions I’ve not written about here. There’s enough to keep many a person happy here for a weekend and beyond. Malacca, thumbs up or thumbs down? My first impressions of Malacca were not good. A tourist mecca. An old town remade to lure tourists in and remove them of their cash in exchange for purpose-built historical activities. But, at the end of the day, down the side streets away from the tourists on tour, Malacca is charming. If not for anything other than a sense of old world beauty and colonial/Asian history. Perhaps better than all this, Malacca has left me with the feeling of wanting to come back and stay a while. Only the mass of tourists, an annoying bus route, and a slight sterility hold me back. 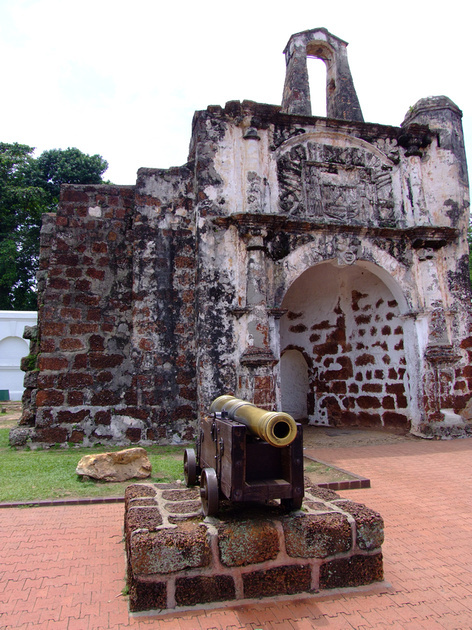 Take away the UNESCO world heritage listing, and I wonder if Malacca would be better off? You bring up a good point about heritage sights. Always overcrowded, expensive, and boring. Keep telling my wife, but we keep ending up in these places anyway! Glad you found the silver lining in this tourist destination! PS- Can’t wait for your next post about aggressive travel photographers. That is a pet peeve of mine! Yer, can’t stand photographers getting in the way of everything! They never learn either. I loved Melaka, for their history and museum. The city centre and many places were too touristy and I only can imagine how that could be changed to more by now. But I really enjoyed their local shops and museum. We just walked around the little streets and looked around. And the museum!! That was one of most interesting museum I’ve ever been to. Interesting to read about world heritage sites and their effect. It’s true that any of the sites I’ve been to have been swimming in tourists. Doesn’t the local economy benefit greatly from this? It boosts the economy alright, but at the same time this destroys any sort of “local” feeling about a place in my experience. Over run by money welding tourists, tours, agencies etc. Enough to make anyone go mad. Your point on the UNESCO listing is an interesting one Dave. I have read a bit about certain parts of the world that have been UNESCO listed, and some of the locals are not to keen on it. I suppose the extra visitors are handy for a little extra cash, but some feel it’s stops them progressing and being able to modernize their homes ect.. Probably a little different in this case, but if UNESCO means loads of ‘Name tagged’ tourists getting on and off buses, I’m with you and would prefer to head straight to the back streets to see what I can find. 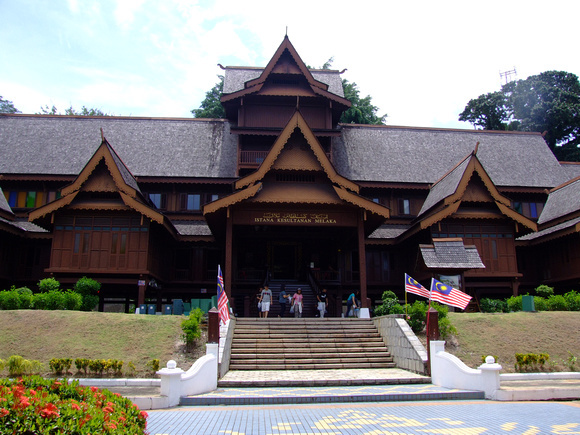 The description of the architecture only rings louder your previous post on the multicultural aspects of Malaysia. It’s sure is a grand melting pot. Looking forward to your next post mate. You know I love my photography, but for some reason I put the photographer you describe in the same basket as the name tagged tourists. It’s a tough call about the UNESCO places. Personally, I’ve never been to one I really liked due to the over tourism aspect that’s ransacked the local community. It’s almost a tourist site to tick off a list, rather than to enjoy for it’s original reason for becoming a heritage site in the first place. I hear you with the “that” type of photographer. I was an amusing set up in reflection, but at the time annoying. I agree with out that many people may not know about a place without some sort of recognition. But, one of UNESCO’s main focuses is that it awards sights not for tourism, but to help preserve a location due to it’s cultural heritage. Sadly, in my experience, this has led to a mass of opportunistic profit related activities which spoil the area or place. And, can often destroy a place. UNESCO sites in Greece being an example of what happens when profit comes before restoration. The Taj Mahal gets oodles of international funding, yet still maintains a duel pricing scheme. I personally would like to see UNESCO take more control over it’s listings than just to hand out awards. But, for many reasons they don’t. The results are often profit over preservation, over crowding, high prices, a damaged community and a few people making some cash. I think Melaka have always been crowded with tourists – Malaysian or not. It is just because it has a mix of everything in between from history, culture and food. Still I guess they are trying their best in this ‘heritage’ but do look pass all the touristy stuff and instead walk around yourself in back lanes and end the day chilling with beer at one of the pubs by the Jonker street. Dave, finally I read your post!! I’m so sorry about the delay and not even realizing you had it up. I don’t consider you a tourist at all. It’s interesting that you still look at yourself as one – at least in this instance. It sounds as if you liked Melacca aside from the tourist element. I actually really enjoyed all the white skin there because I’d just spent three months in Sharjah, UAE, an extremely strict Islamic emirate where I stood out like a gigantic bleeding sore thumb. It was great to be back amongst my own again. I also loved the Indian food in Malacca. It was everywhere. The tuk-tuks were cute too, although I didn’t ride in one either. I used them strictly as transport while in SE Asia, not for a joy ride. The owner of Old Town Guesthouse told me about this jogging path near the guesthouse. It turned out the path was in a cemetery! I just loved it and went there every day, either to jog or just walk. It was on a hill above the city, had great views and was really peaceful. Maybe if you go back to Malacca you can find it, if you want. Yep, I look at myself as a tourist as if I am new to an area, I really don’t know what else to call myself. I liken myself like a baby when I enter a new place, I need to learn about it, make mistakes, and improve upon them before I can grow a up little. It also helps me avoid the whole traveler or backpacker or tourist or whatever argument! Very valid points about seeing white skin again. I get that from time to time too. I remember after Turkey, Iran, Pakistan, arriving into India and suddenly seeing girls in skirts, shoulders and dare I say cleavage again! Better yes, what I really like from time to time, is talking with someone in a new place about anything other than travel. It’s like a breath of fresh air. 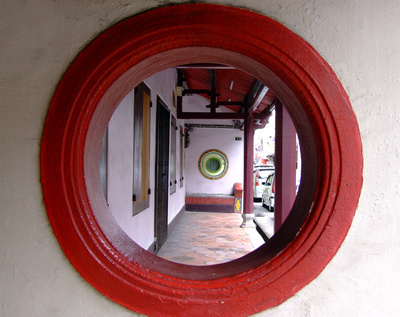 What do you think of Georgetown, Penang which is also a UNESCO world heritage site? How has it handled that designation – better or worse than Melaka?